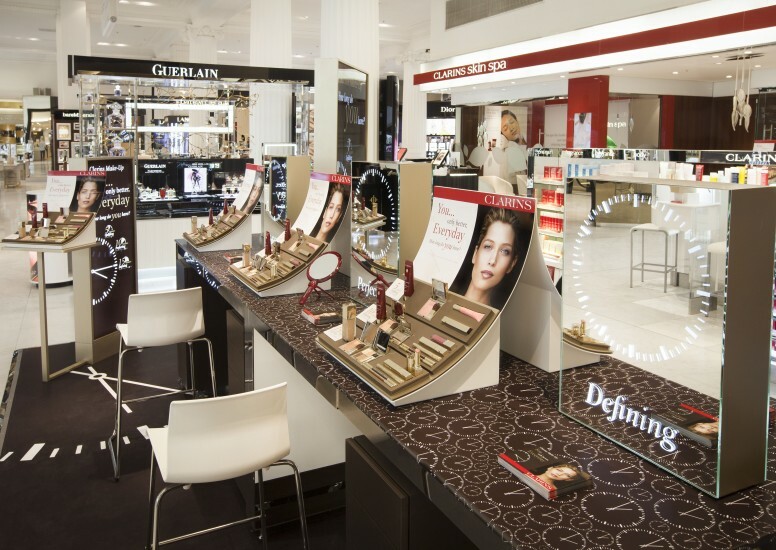 A small production run of premium quality counter merchandising units glorified the makeup collections for Day and Night, across the retail space. 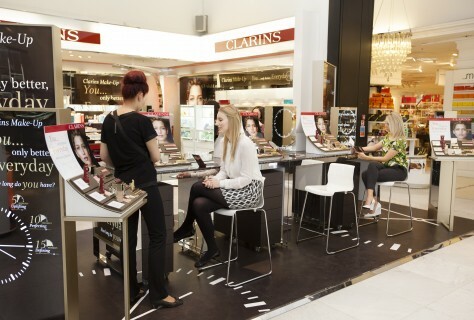 Seated consultation areas for up to 8 customers had illuminated mirrors emphasising the message of time, with the clock pattern and main headings etched onto the glass. 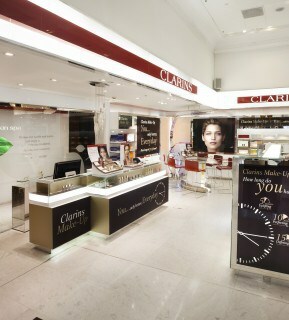 The floor vinyl and large light boxes also re enforced the graphics to tie the event together. The sophisticated palette of colours using satin gold and rich mocha brown really gave the brand a point of difference to their traditional identity and it really paid off. 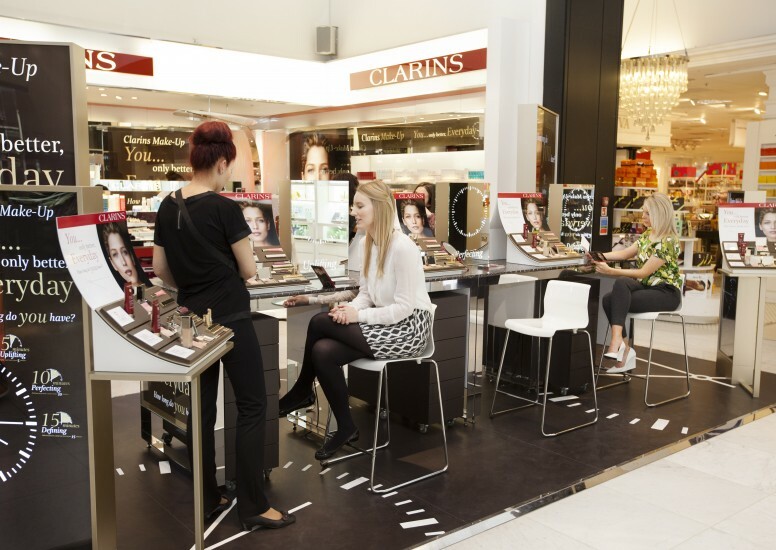 This event has certainly helped Clarins raise their profile as a serious makeup brand and saw significant uplift in sales during the 2 week event.